Nana's Green Tea vs. Tsujiri - What Are We Waiting For? Vancouver foodies love Japanese desserts. This is at least true when it comes to my blog. Even when I share something subpar, if it has to do with Japanese desserts I know there will interested eyes. 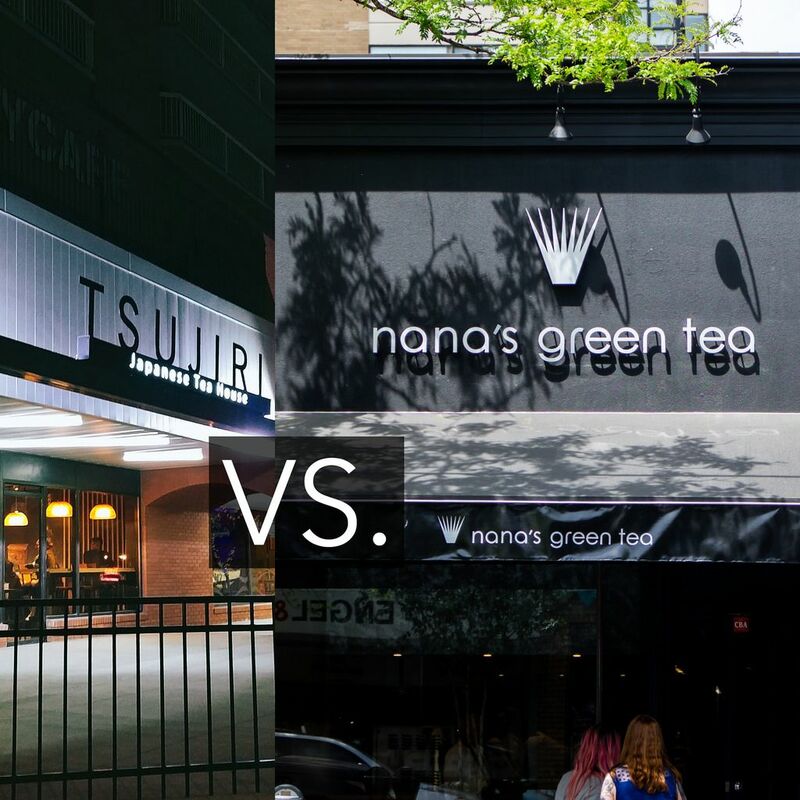 The biggest stories of anticipation the past couple years for Vancouver in this regard are the expansions of popular Japanese chains Nana's Green Tea and Tsujiri into the Canadian market. It was a bit of a shock that Tsujiri was announced in July 2017 yet Nana's Green Tea swooped into Vancouver first, opening a Kerrisdale location in June 2018. Tsujiri opened an Edmonton location earlier this year though, and I made efforts to visit when I was in town. Having been to both dessert chains this year, I've got some small bullet points for both cafes so you can be aware of their differences and similarities. At first glance of the menus, both cafes offer matcha specialty drinks, parfaits, and frappes (blended drinks). Price-wise, both are roughly the same. Nana's regular size drinks are smaller than the single size at Tsujiri. Parfaits at Nana's cost more but are also larger and use a scoop of real ice cream. Both cafes also have an assortment of baked goods (yuzu tarts, matcha roll cakes, brownies) on display at the front. Inventory is limited and I've managed to be denied certain items at both locations because they only baked so many. In both cases, the matcha used is a legit green and may be ceremonial grade. Service-wise, the two cafes are pretty similar in that you'll place and pay for your order prior to receiving an order number. In the case of Nana's though, your entire order is brought out to you, and in the case of Tsujiri, you'll need to listen for your order number and pick it up. In fact, if you have a group order, you'll need to come up to the counter multiple times to complete your order. In that regard, Tsujiri is more like an individual-focused coffee shop like JJ Bean or Starbucks. Overall, both cafes are Japanese-style chains expanding into the Canadian market. I think if you're into larger parfaits, enjoy a wider variety of flavours for desserts, or want actual food too, you'll enjoy Nana's more. If you're more into drinking Japanese teas or you are a soft-serve junkie at heart, Tsujiri is what you'll continue to anticipate. Will Tsujiri ever open in Richmond, BC? If it does, it might not matter for some diners because Nana's Green Tea has beaten them to the punch.